Computers are a very useful piece of technology in every day life. They have become quite a dependency as well. Therefore, when complications become involved and errors start to arouse, people are going to need help. A great feature to computers is their ability to link to one another. The interconnectivity in today’s world is incredibly useful to spread information across a wide margin very efficiently and in a timely manor. Linking computers has actually advanced to the point where a user on a different computer system all together can remotely connect to and control another system. The tool that will probably be the most used in the future will be Google Drive. Google Drive is a free-to-use file storage for almost any type of document you want and unlike microsoft word, which you have to pay to access, Google Drive is instantly saved on cloud. Not only you can access your files from anywhere you want, you can share with other people. Meaning if you’re a teacher, you can post assignments for all the students to see you can show grades to individual students. It is also very beneficial for the student because for example if you are doing a project on a powerpo int with your partner, you guys can work on it at the same time. Since it instantly saves on cloud the minute you edit things will be saved so you and your partner can work on it side by side and be in different locations. Teachers can also take attendance of students or even make a checklist of anything you own that students want to borrow. Not only you can share files, you can also share videos to show the students/teachers. In conclusion, Google Drive is the best tool for sharing. StudyBlue (SB) is an application that has the ability to vastly aid someone in the realm of education. The StudyBlue application main use is to act as a dropbox for flashcards. Meaning, you can either log on to the web browser to access the application through an e-mail username or access the application via a mobile device through the same e-mail. This application is primarily used for studying vocabulary terms by using virtual flashcards. iStudent is, simply put, a way for students to keep track of their grades online. Pretty fun. (I may have played a few times) For Ashland, however, we have a simple, functional one. With a new year comes new technology and NHK is nothing short but has created the first broadcast camera with a resolution of 8K. What is 8K? Take your standard HD TV. The resolution is the amount of pixels times an amount of pixels. In other words, the X axis or length times the Y axis or height. So 1920 x 1080 is the resolution of your HD TV. By the way remember, 1920×1080 = 2,073,600 pixels. Now, lets multiply that by 8 to get 8K. 1920x1080x4 = 16,588,800. Why capture in 8K? When you take 8K video and down convert it to 1080P, everything becomes much sharper. The unfortunate truth is that 8K cannot really be used in broadcast. As of right now, everything is broadcasted in 720P and is up-converted to 1080P. All a 4K or 8K TV would do is replicate pixels to create a larger display scale. 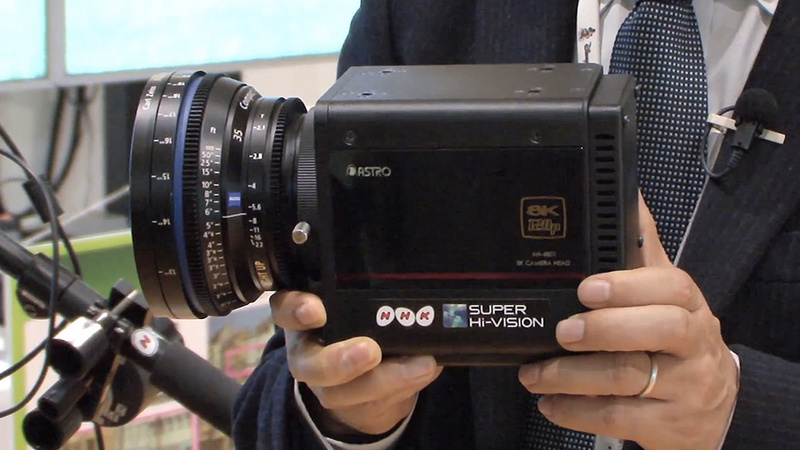 Eventually I will be able to talk more about the 8K camera but the actual specifications have not been released yet. What we do know is that it has HD-SDI out for external recorders. TED is a great website to learn the basics of a subject and it has a variety of subjects that are discussed with varying levels of details. TED-Ed is an educational oriented branch from the original TED site. TED-Ed allows teachers to create videos themselves which can be watched anywhere their students have access to the site. Also by allowing anyone to create videos teachers can use other teachers presentations which may be exactly the same lesson with a different perspective. TED is made for people in higher levels of education and TED-Ed seems to be for a younger audience. The variety of topics and the easy navigation on the site make TED an effective learning tool. Clad in pajamas, Salman Khan has changed the world of education with a laptop and a cheap microphone. He created a series of videos on a simple YouTube channel that evolved into thousands of captivating lessons on a dynamic website. Khan has established Khan Academy: an organization that has evolved into the future of schooling.